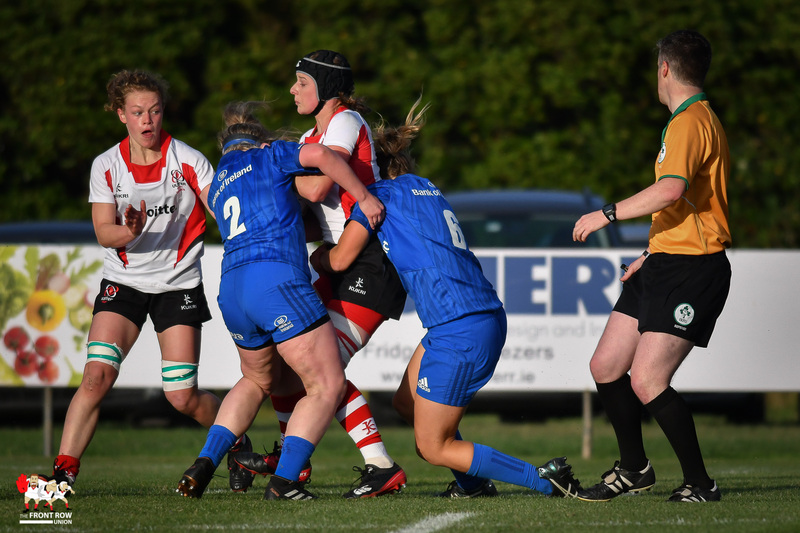 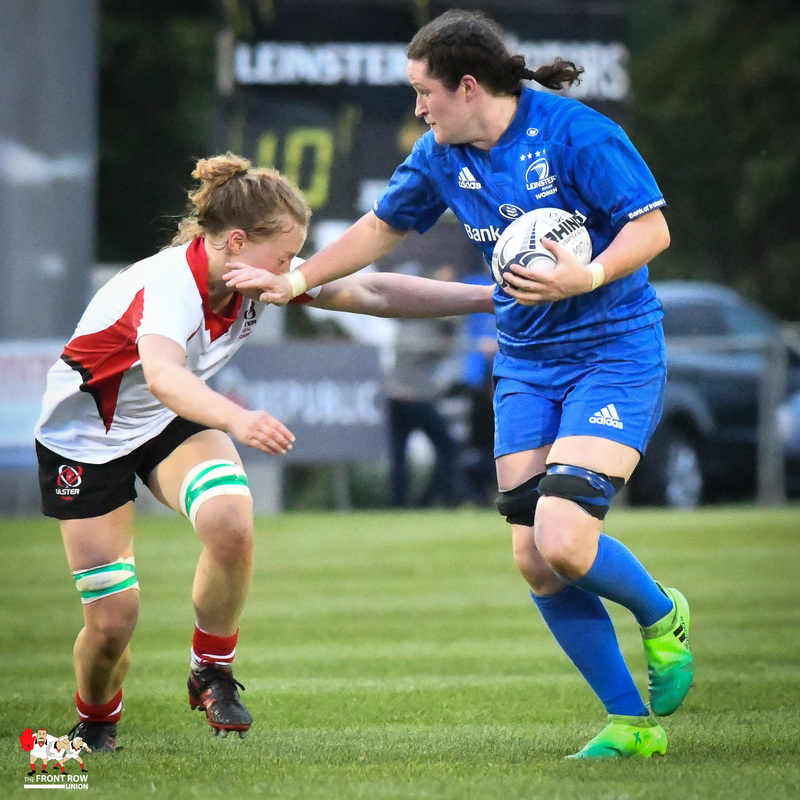 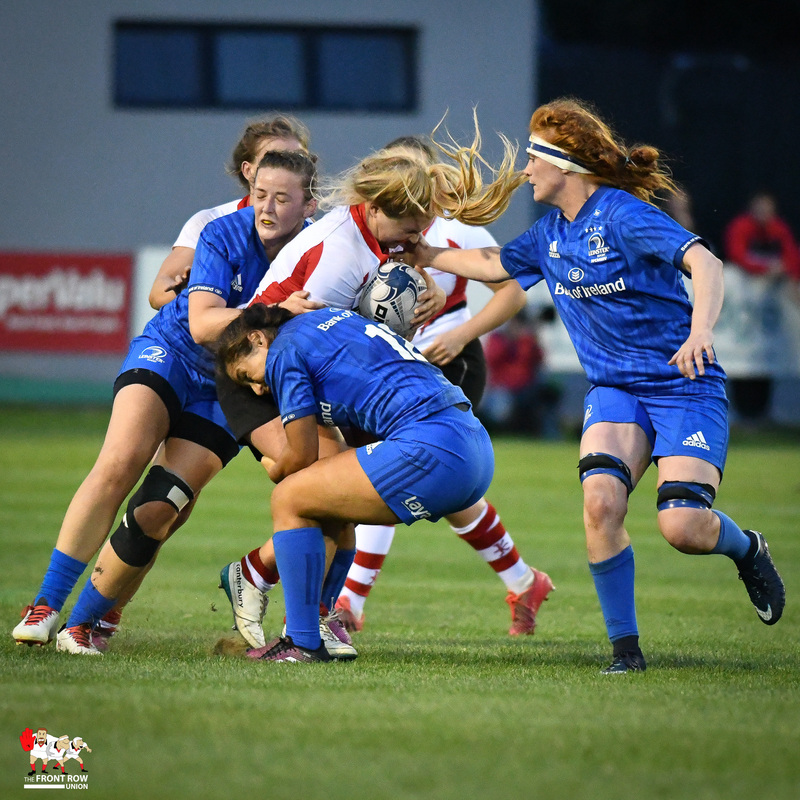 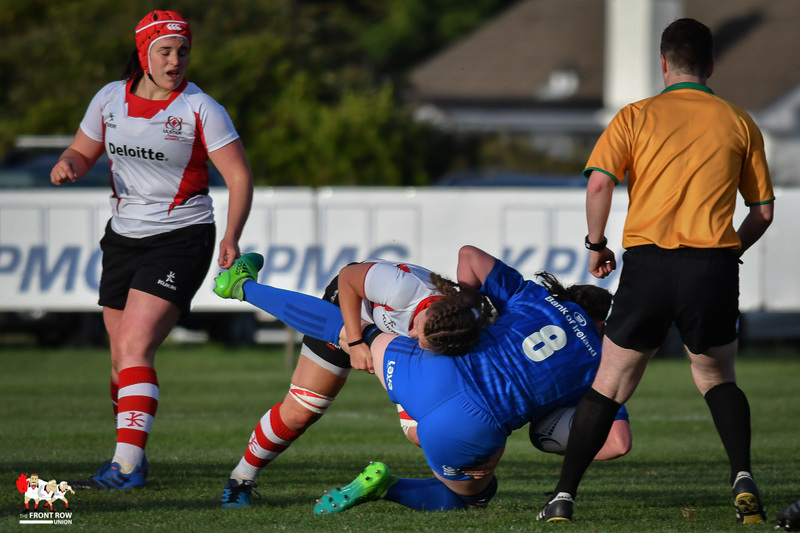 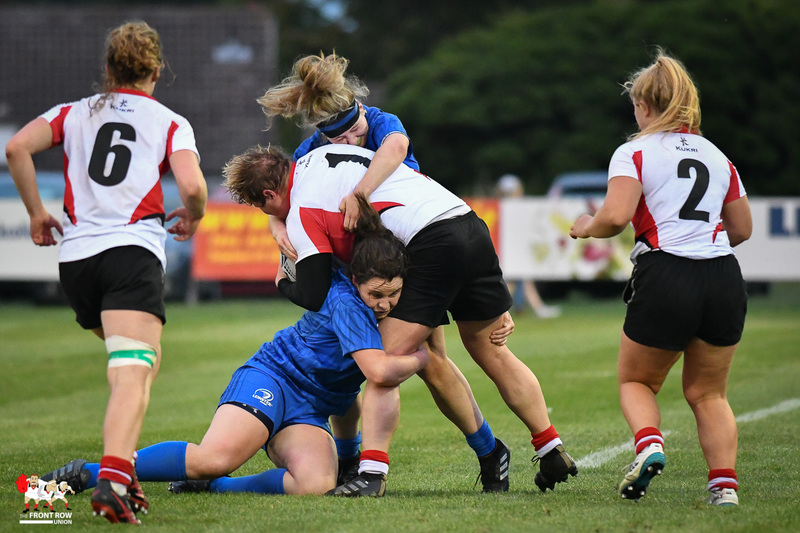 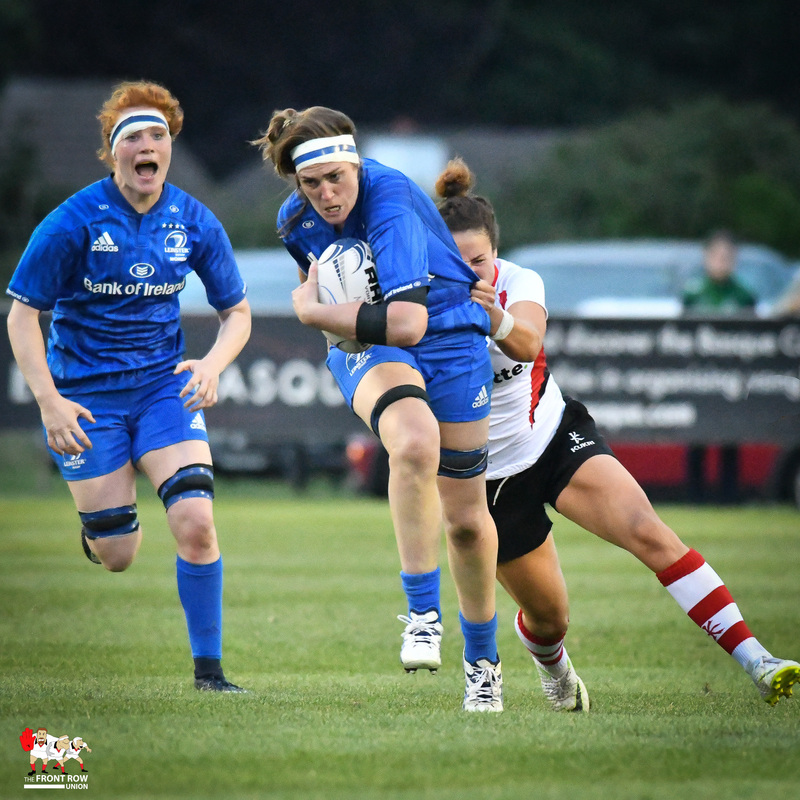 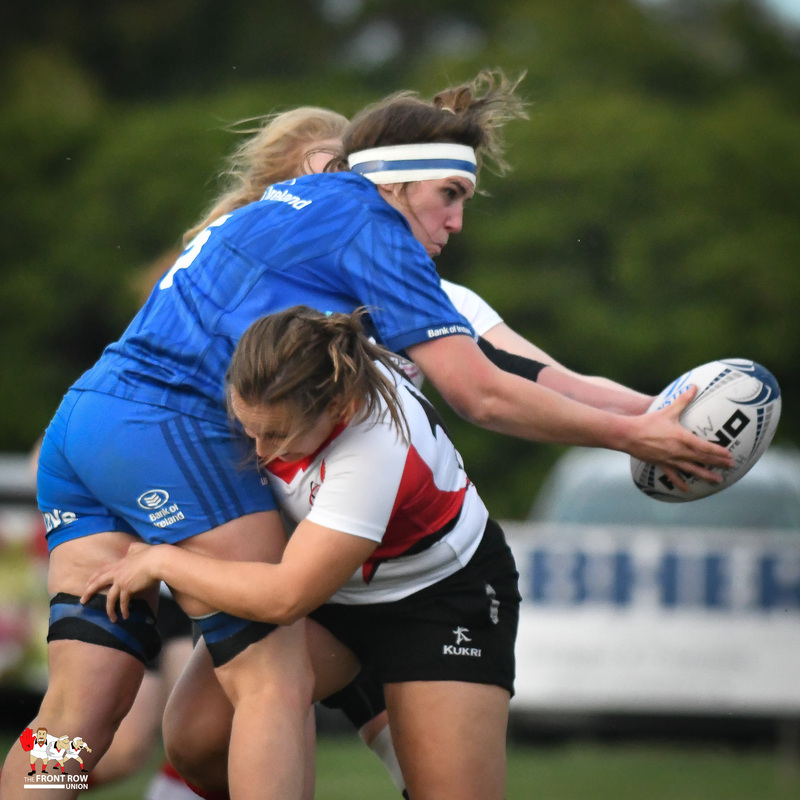 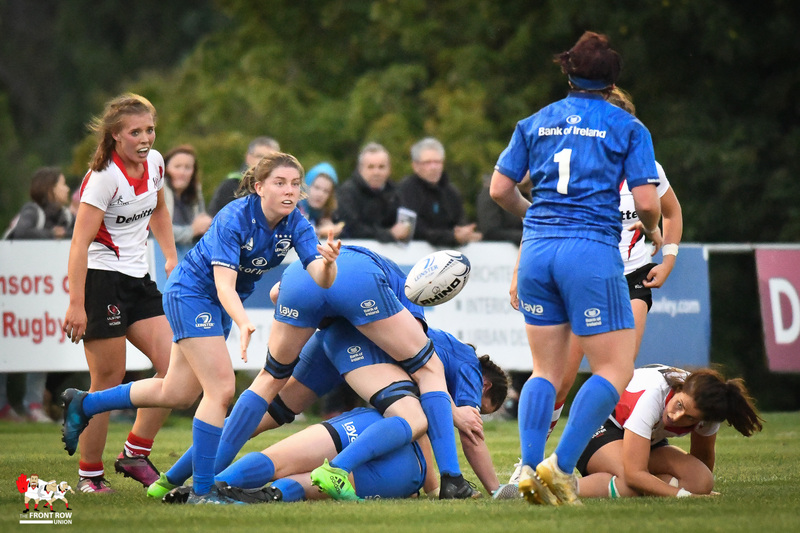 Beth Cregan tries to break through the Leinster defence in Ulster Women's `17 - 0 defeat in the opening round of the Irish Women's Interprovincial Series. 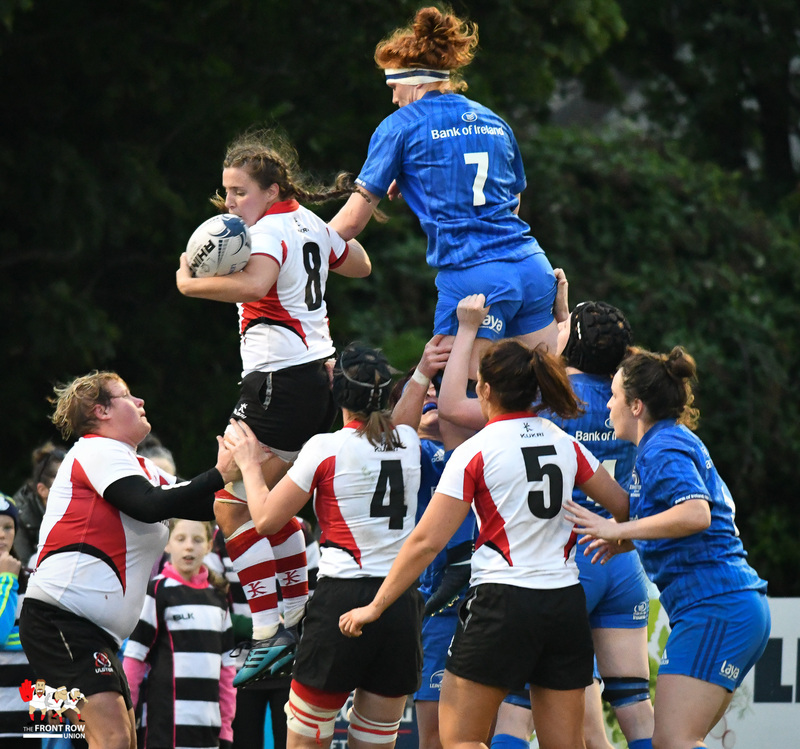 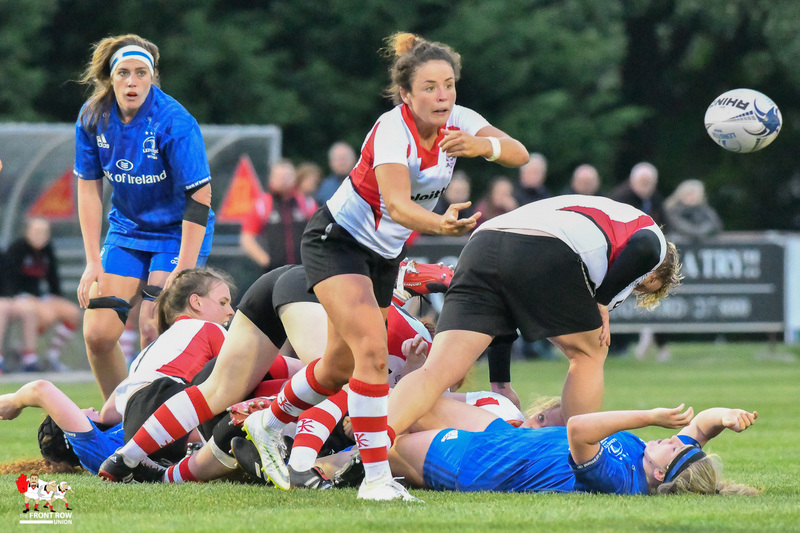 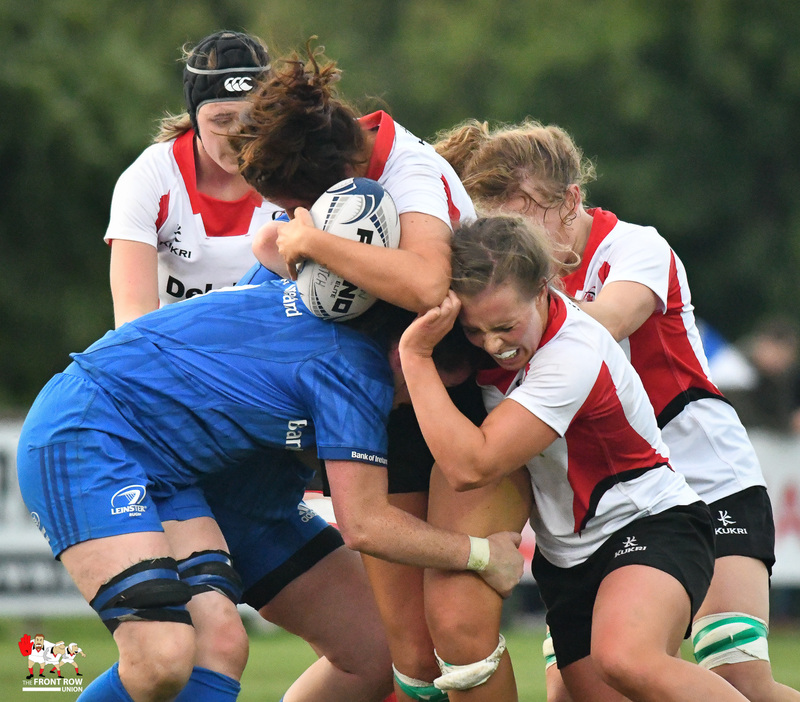 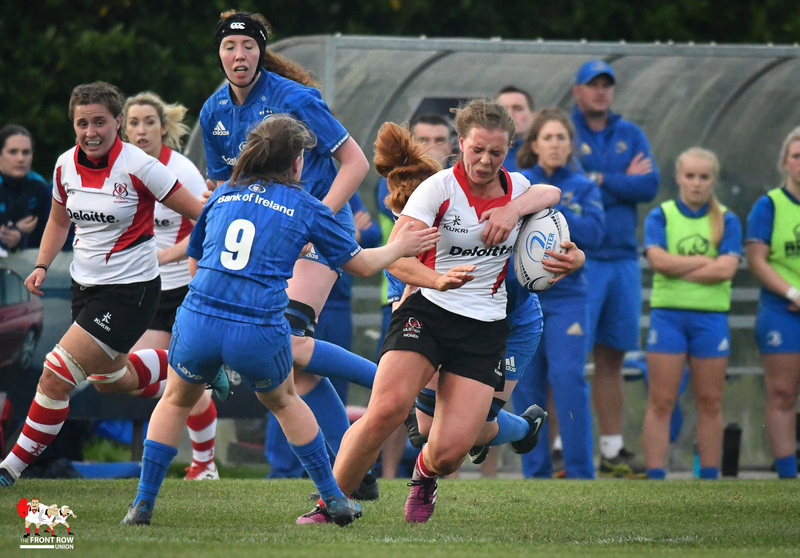 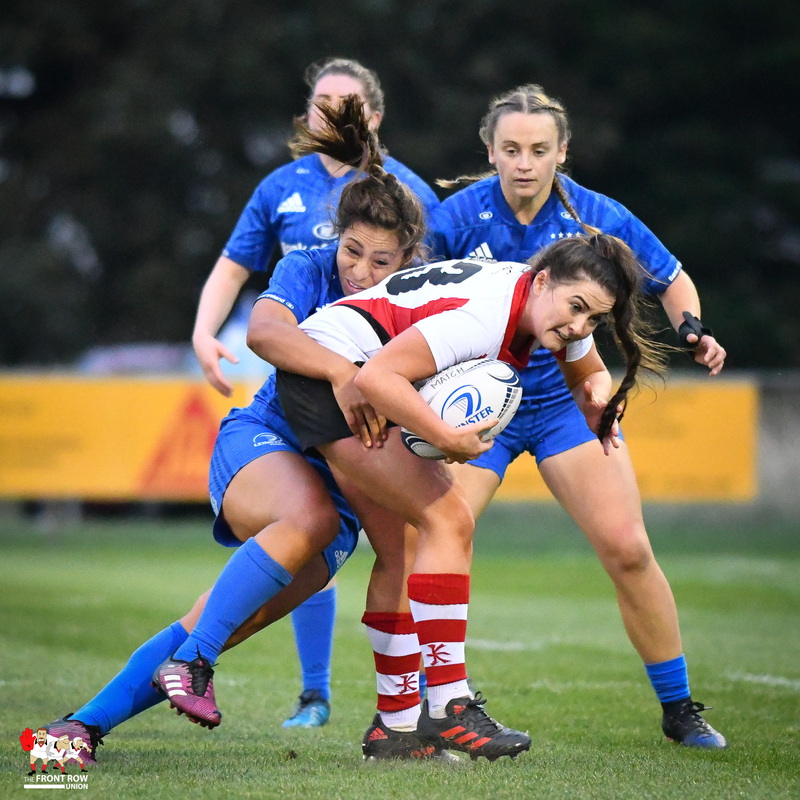 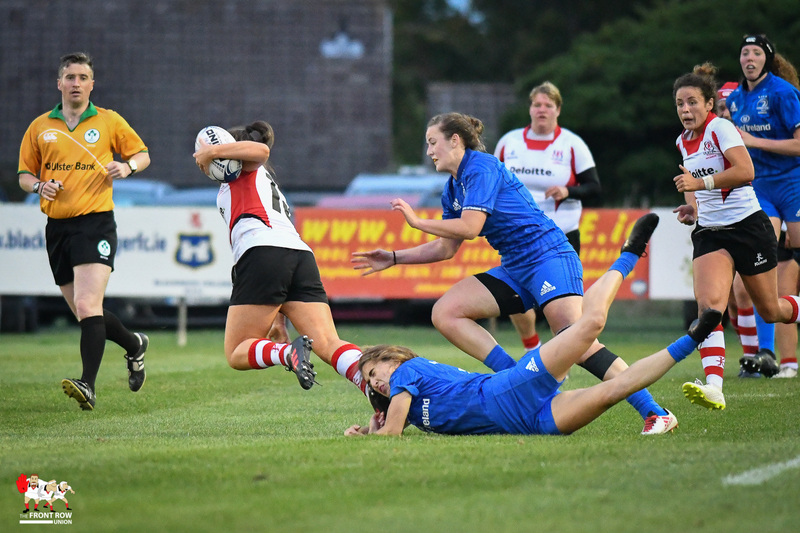 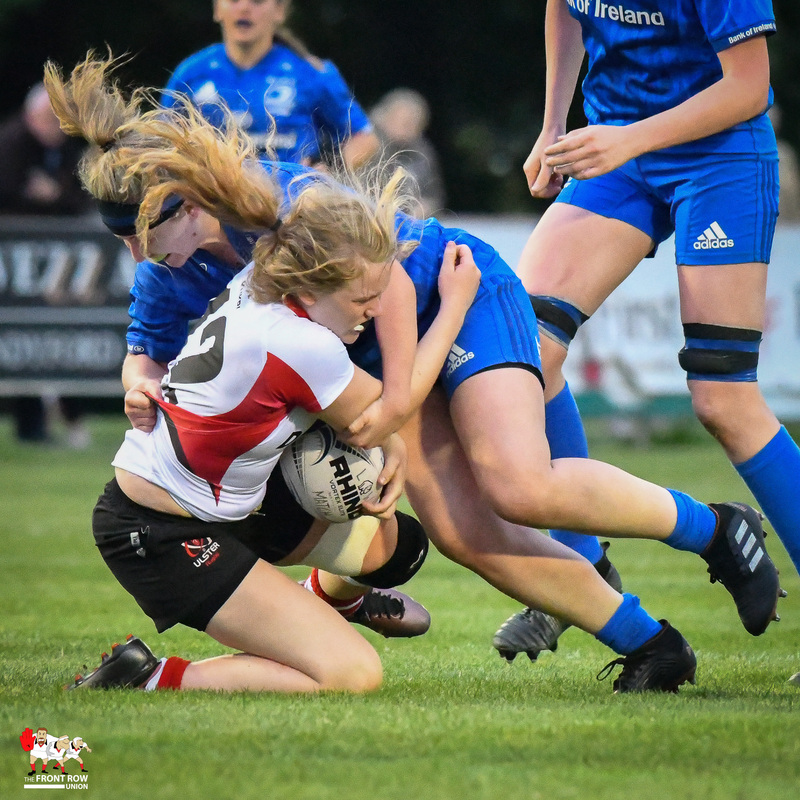 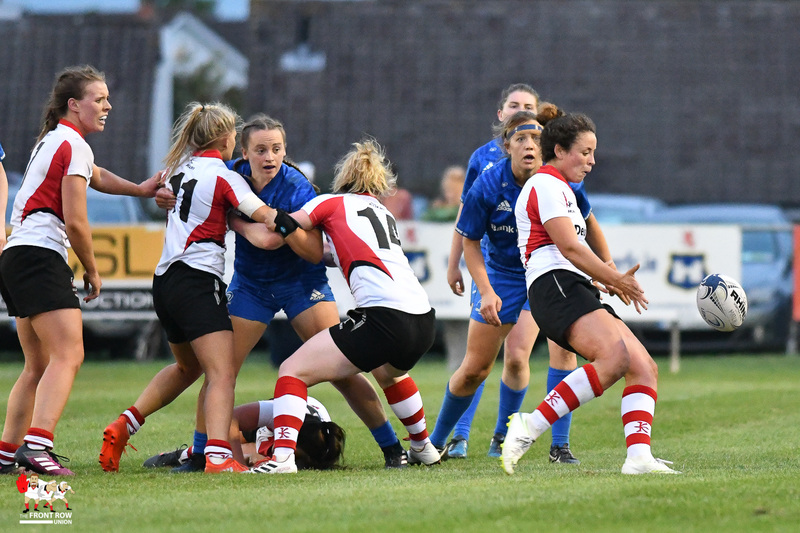 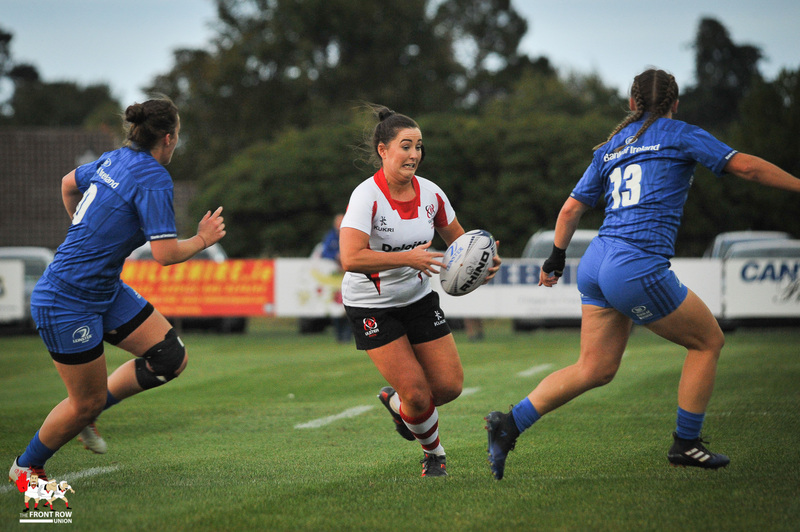 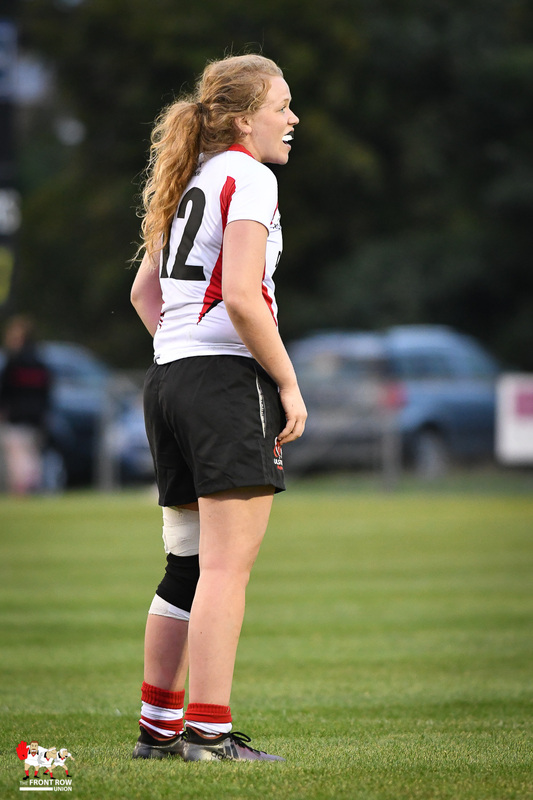 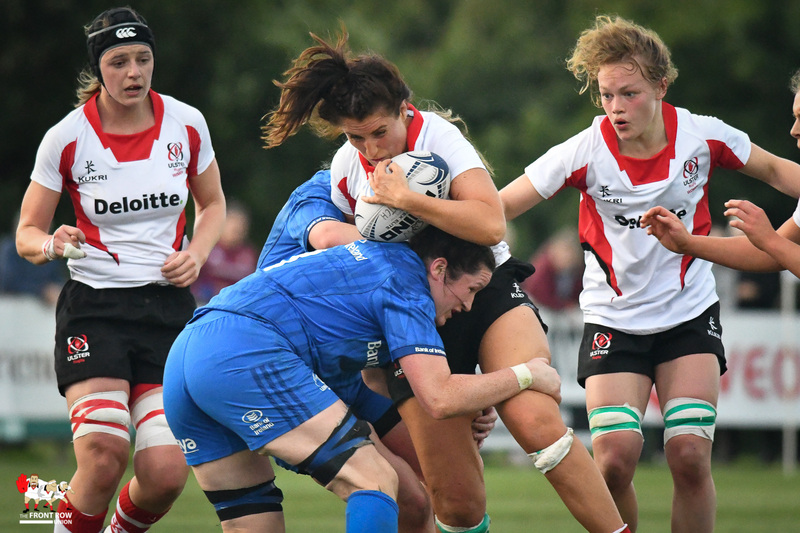 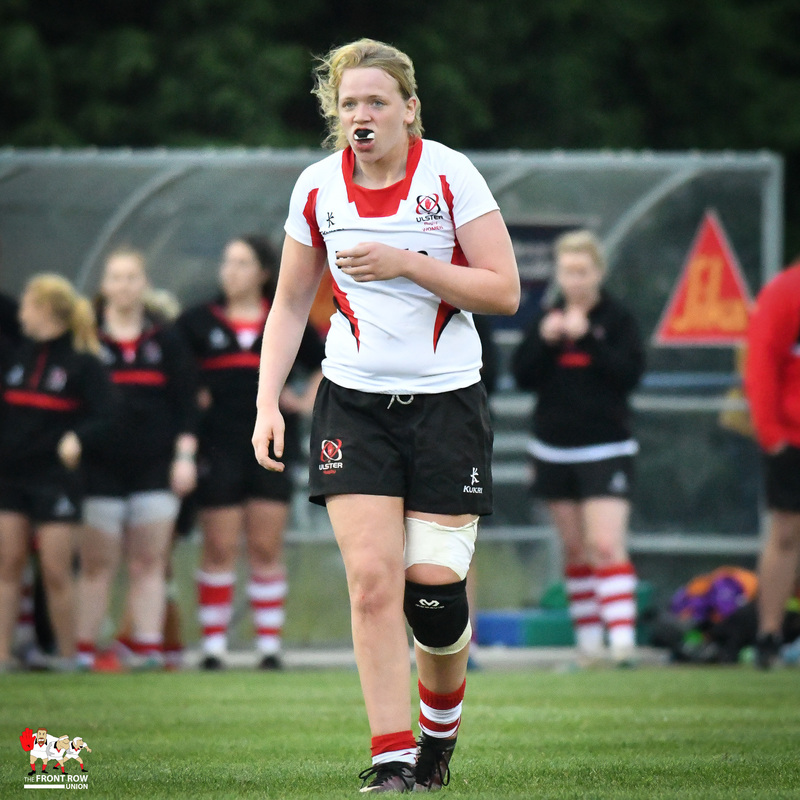 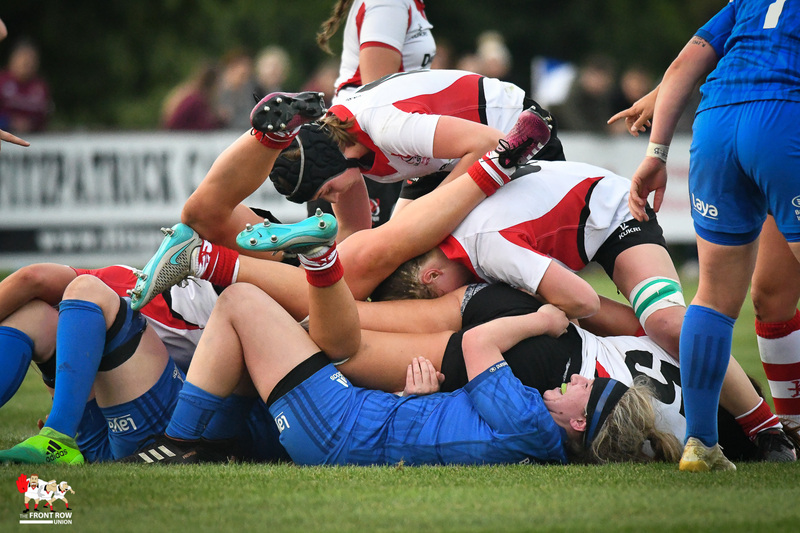 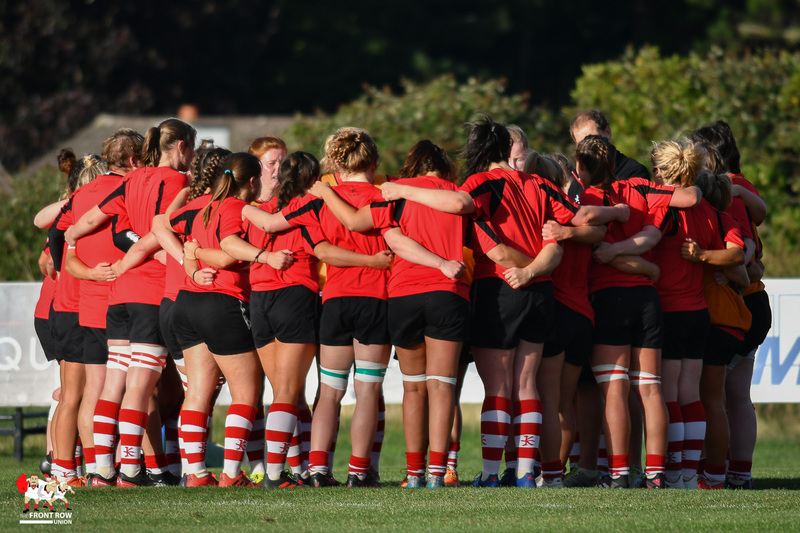 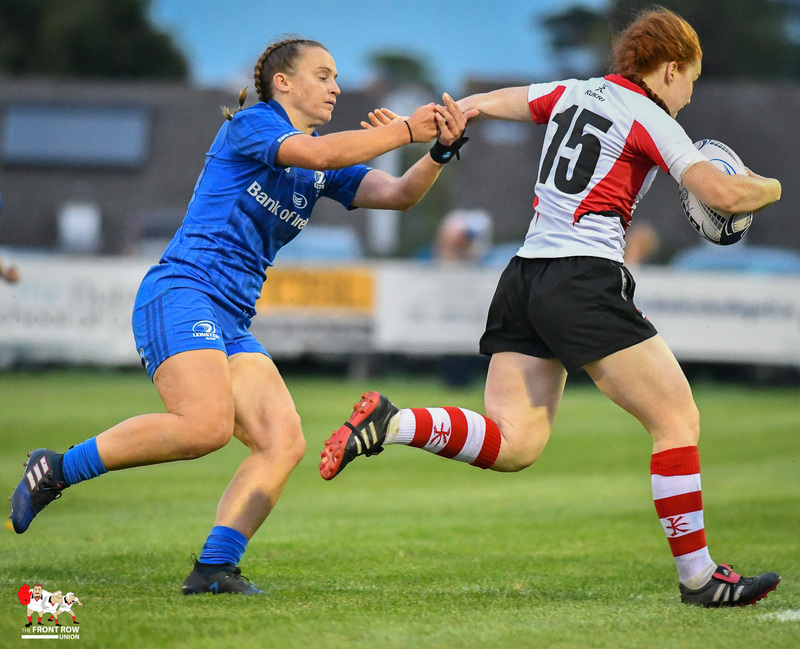 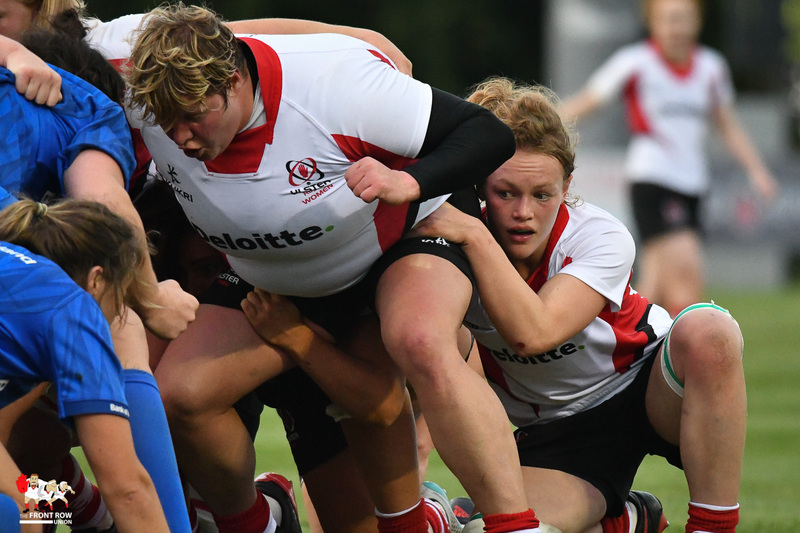 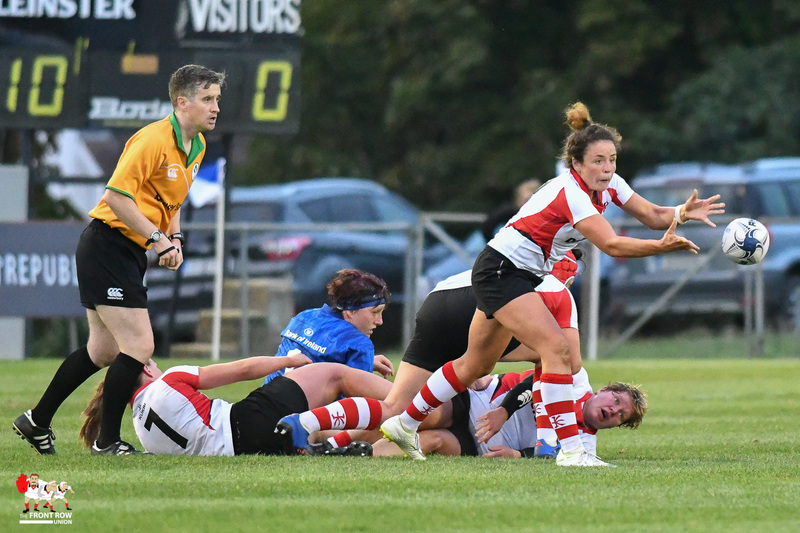 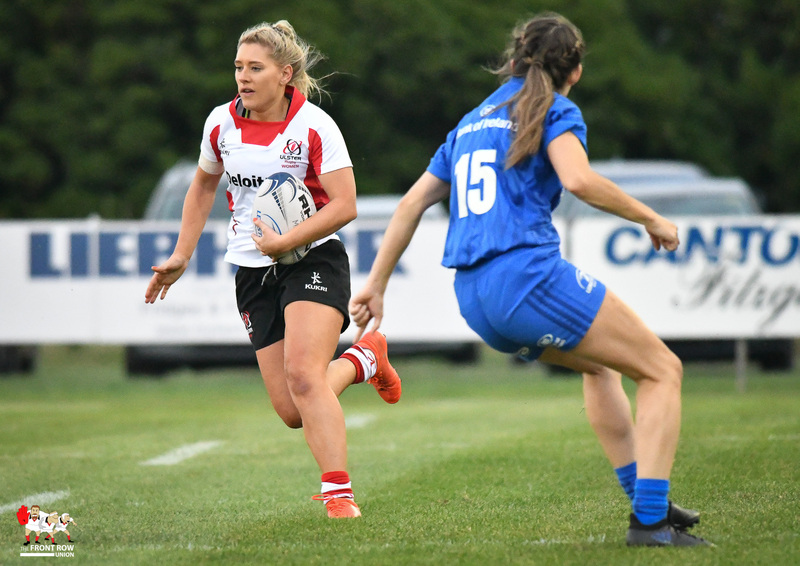 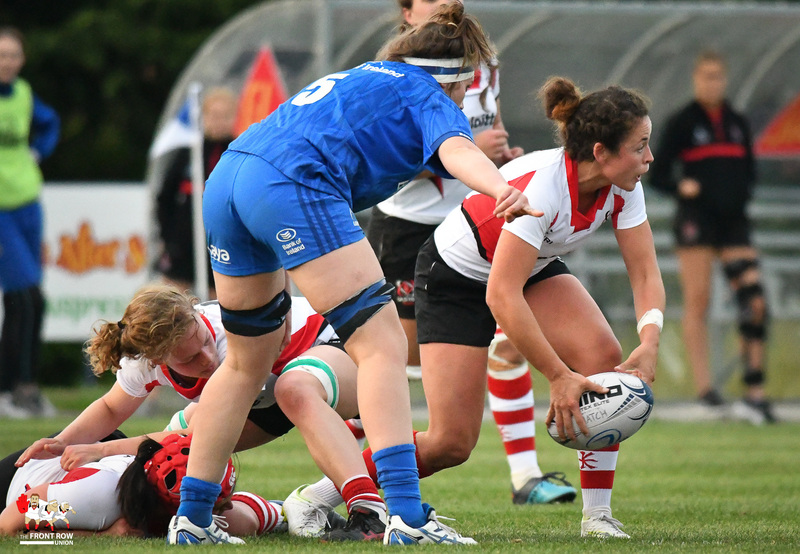 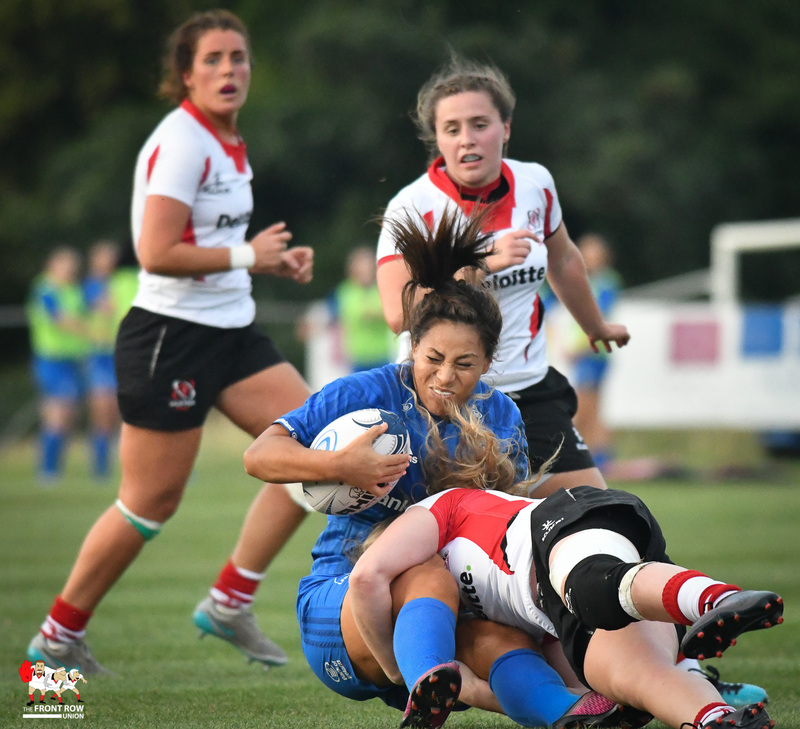 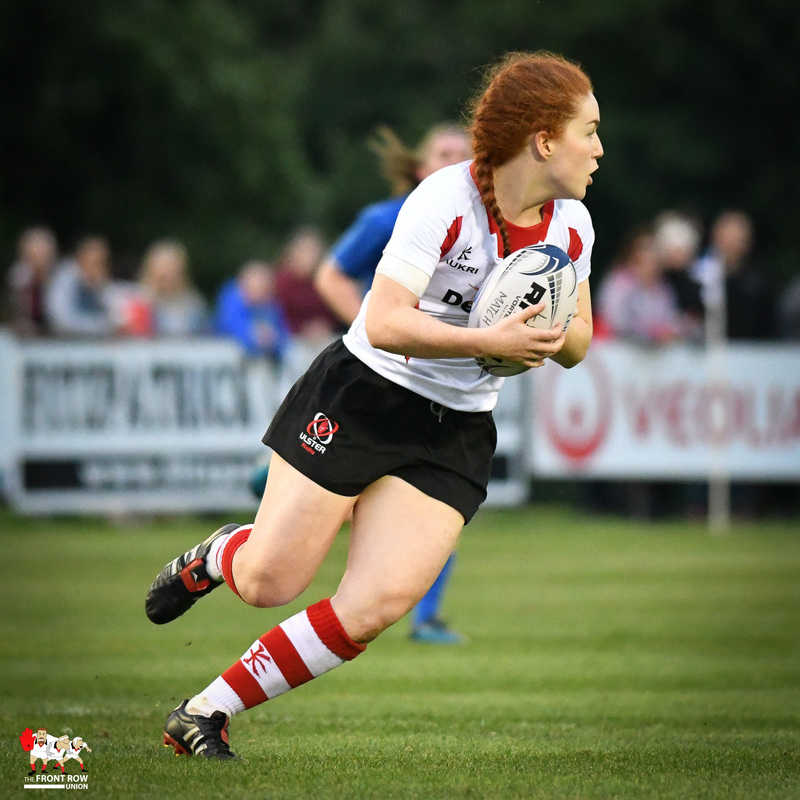 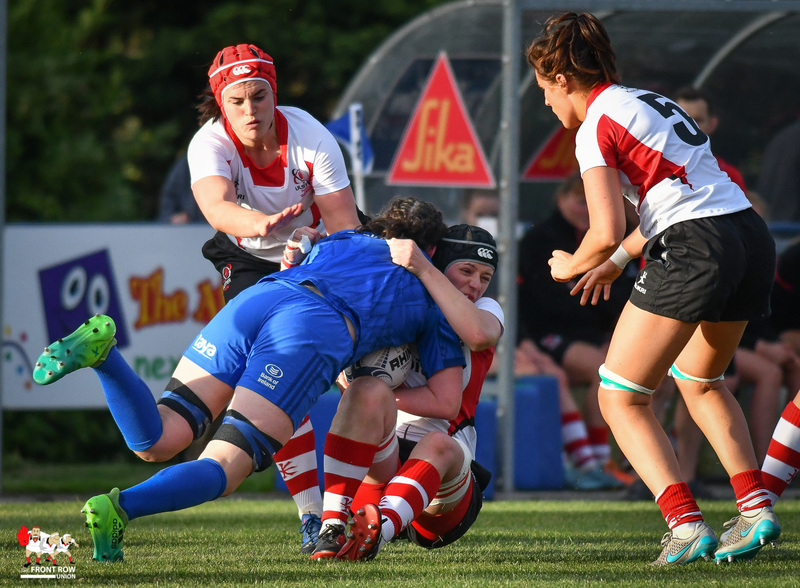 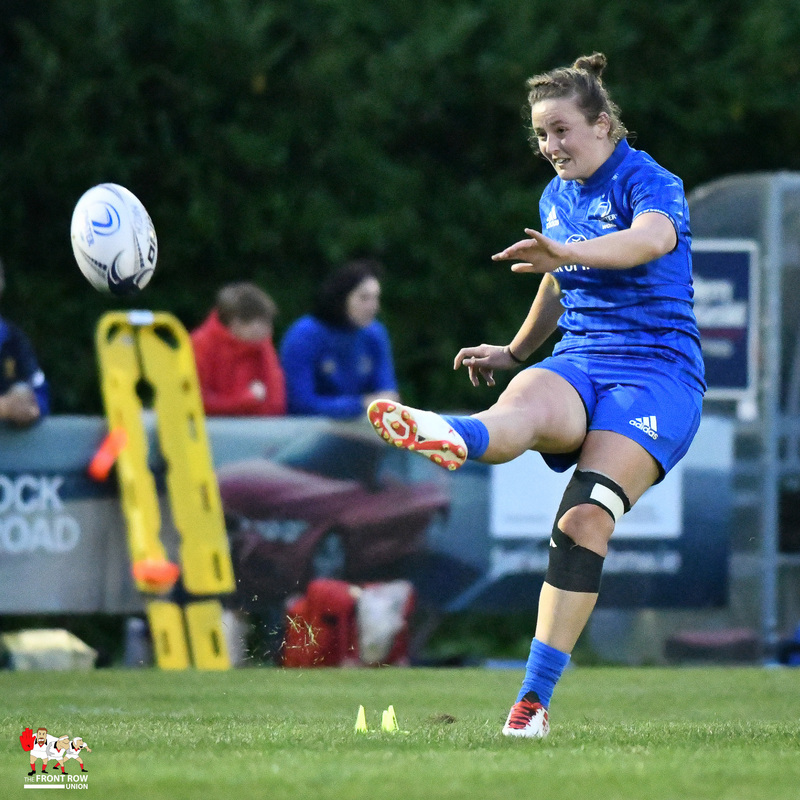 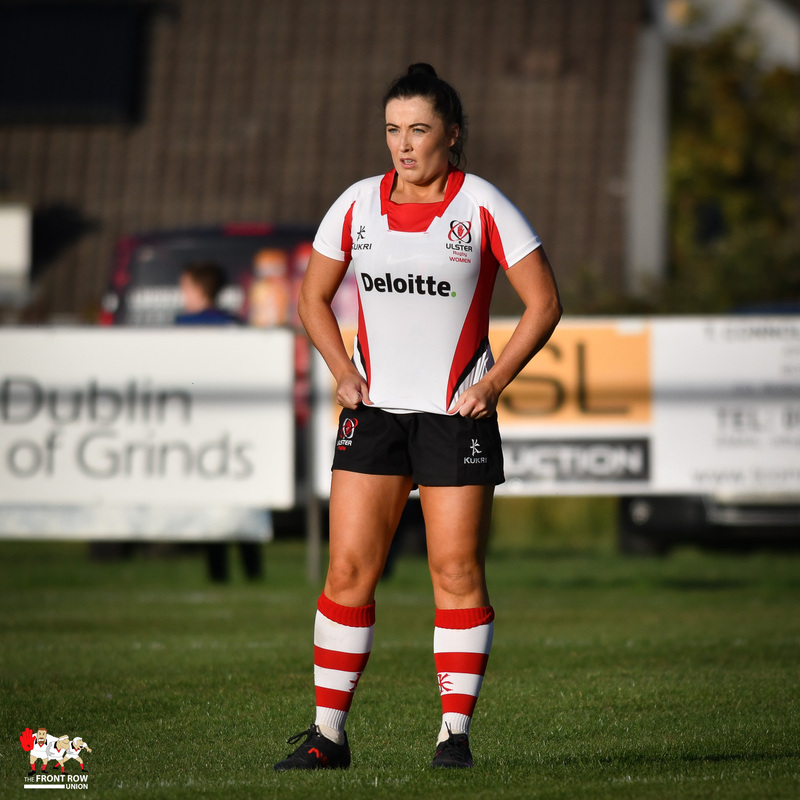 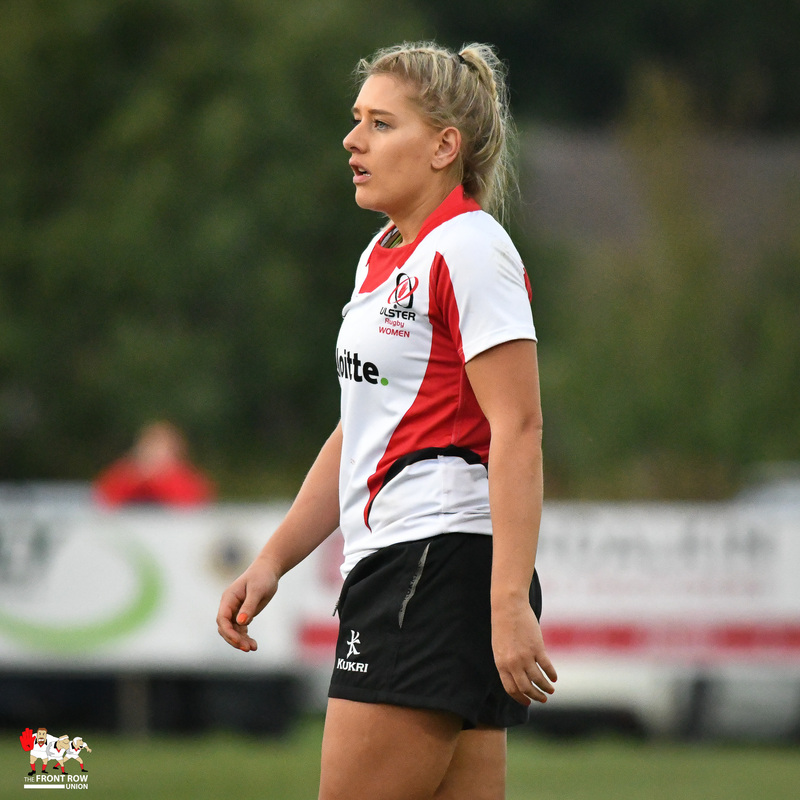 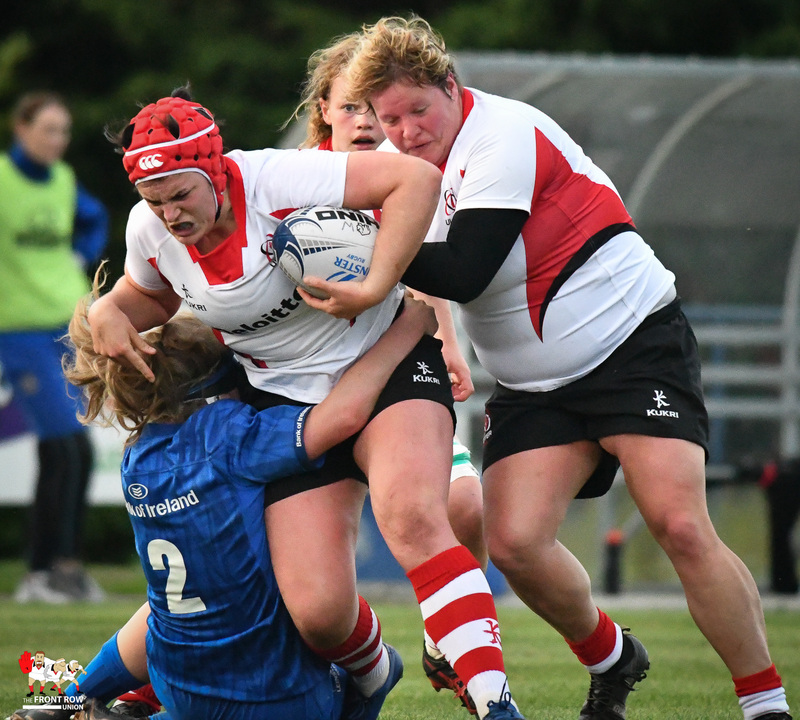 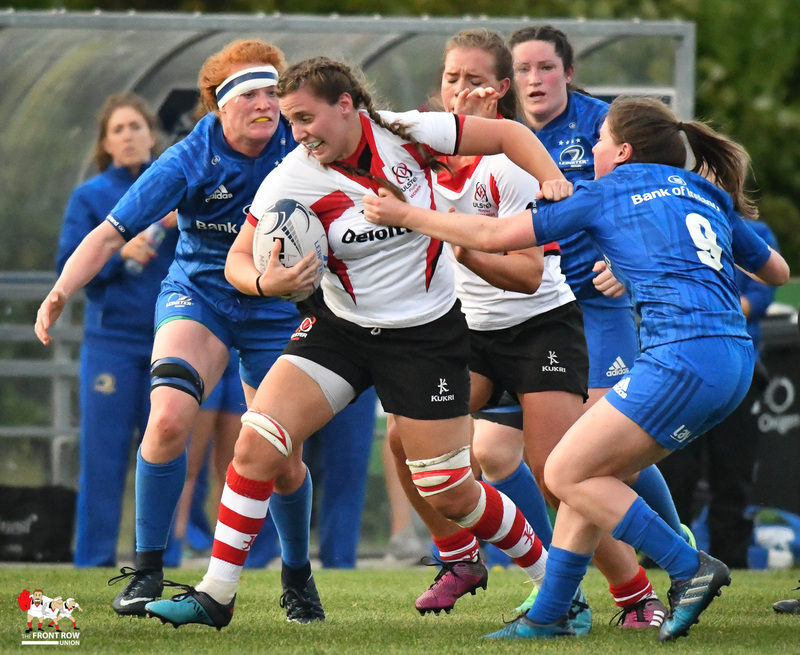 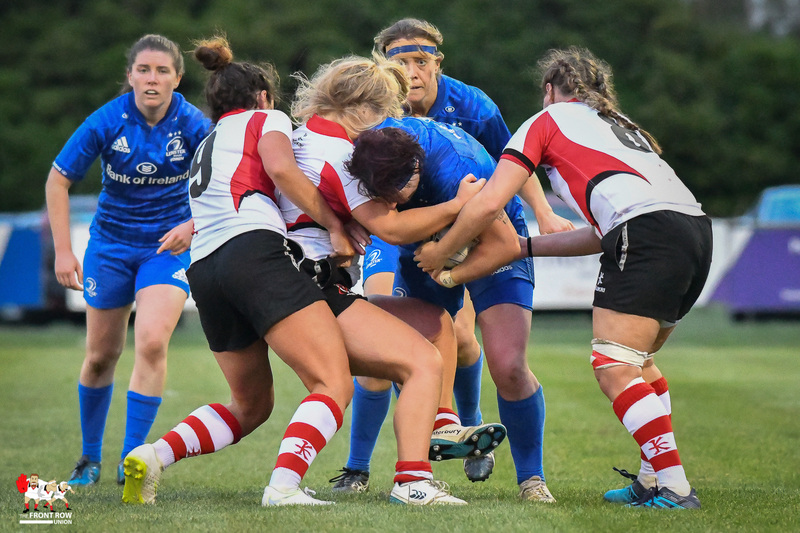 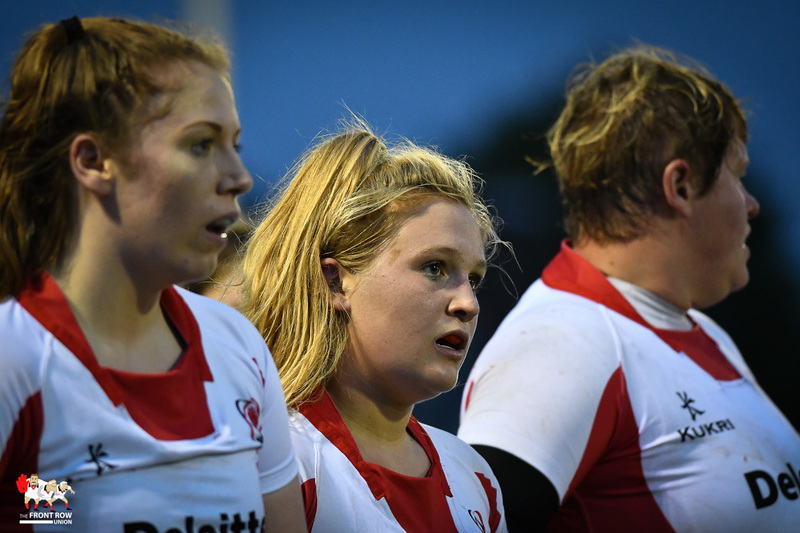 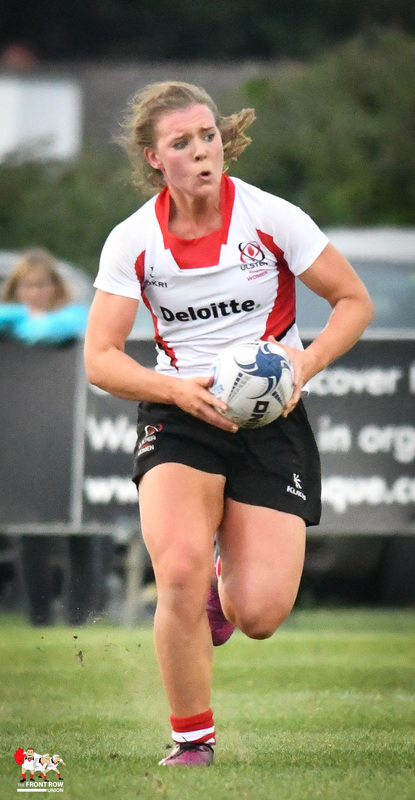 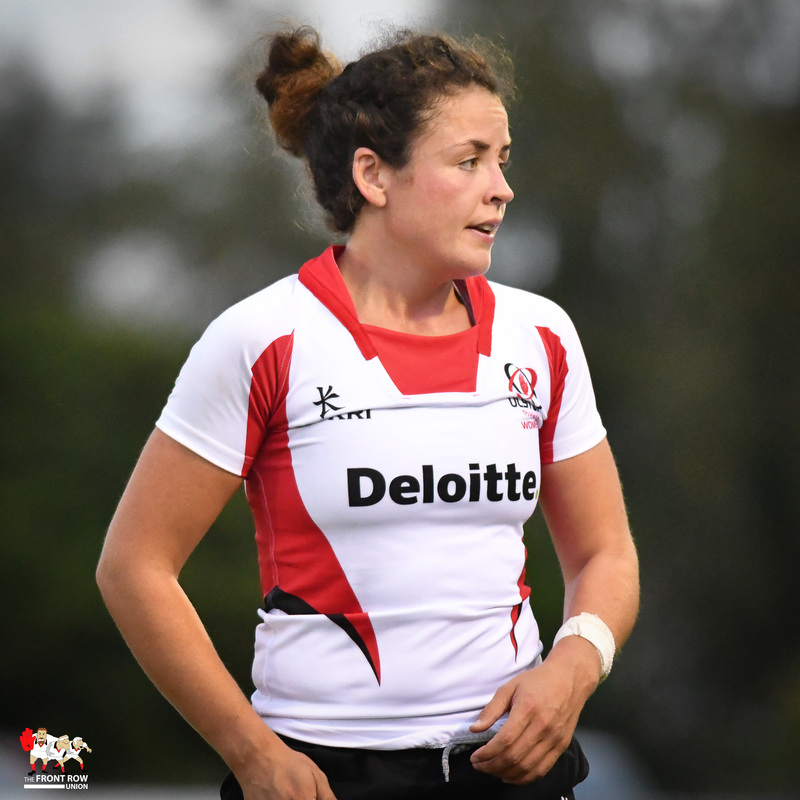 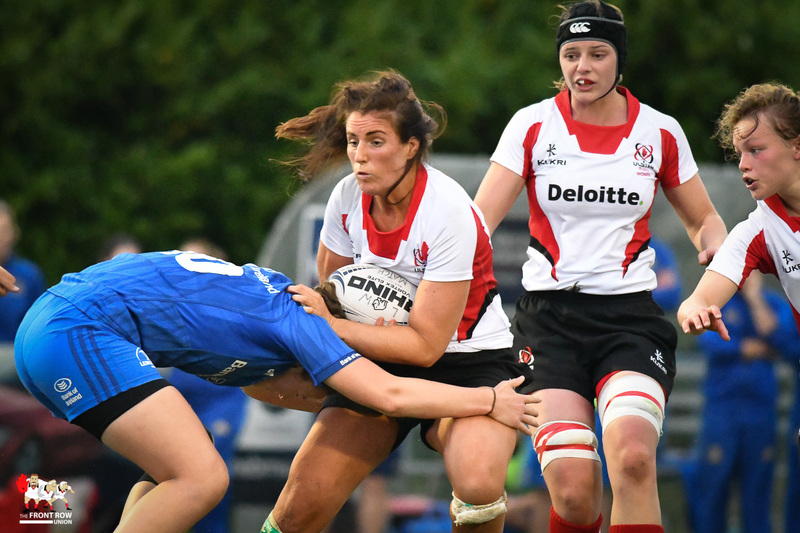 Ulster Women’s six year search for a win continues following a 17 – 0 defeat to Leinster Women at Blackrock RFC last night. 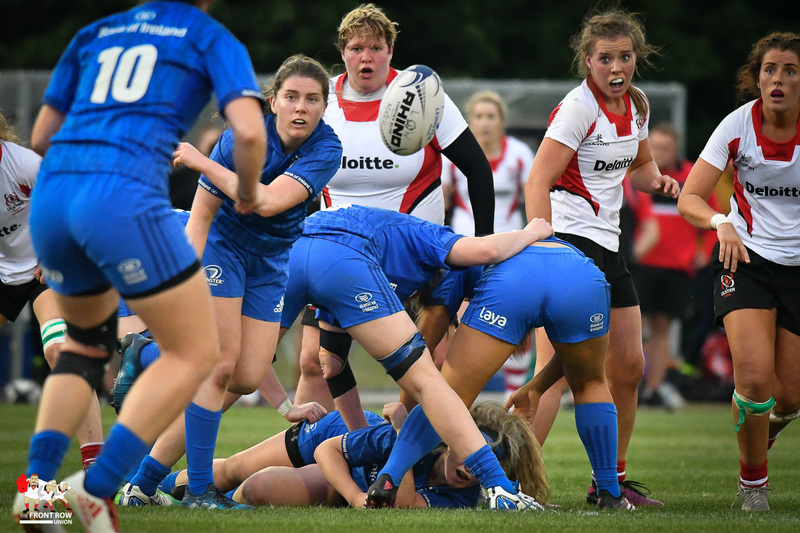 A Juliet Short brace gave Leinster a decisive lead in their game against Ulster. 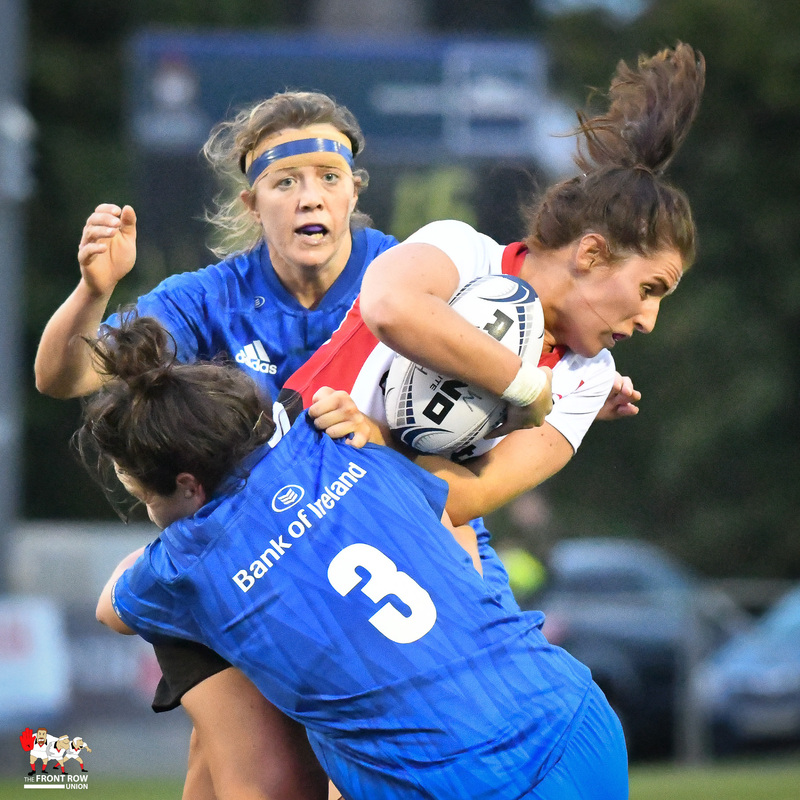 There were some signs of improvement as Ulster finished the first half on the attack despite going behind to an early Juliet Short try after a dominant first quarter from Leinster. 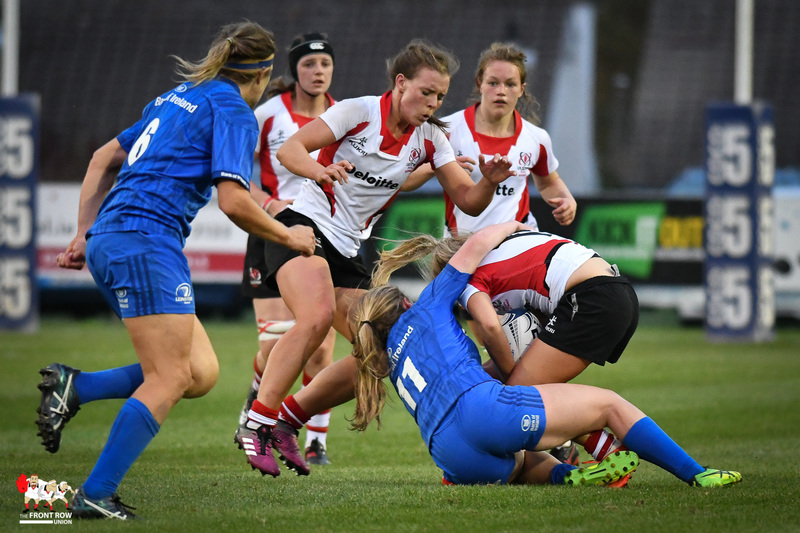 However, with an Ulster chance held up over the line the teams turned round with Leinster Leading 5 – 0. 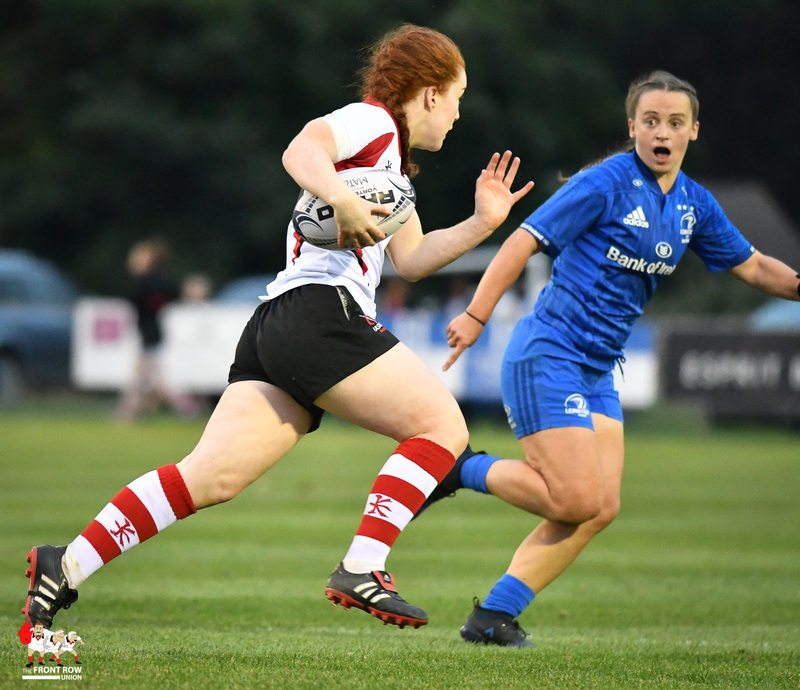 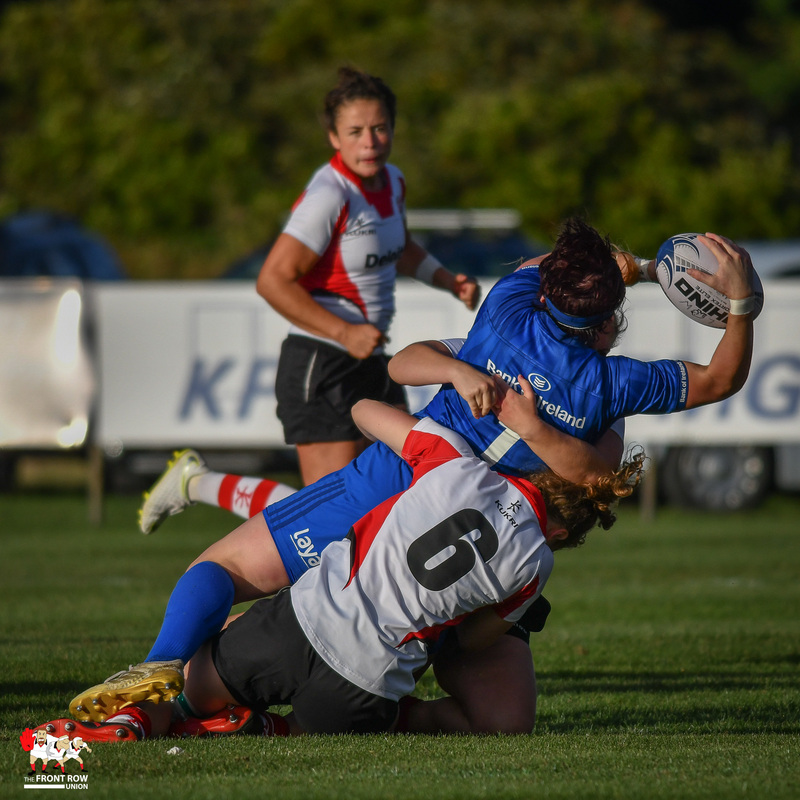 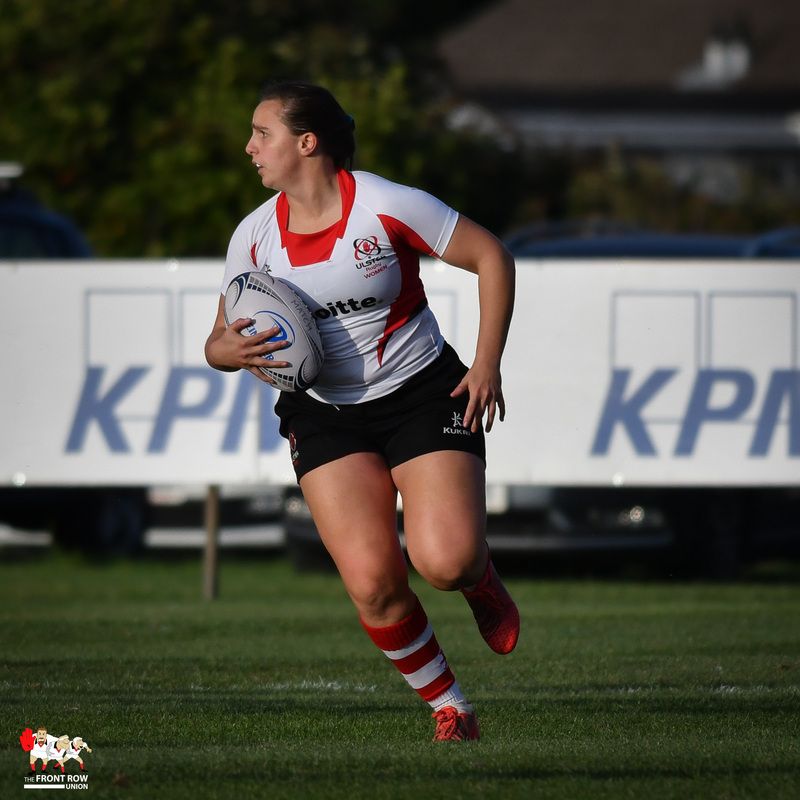 The home team moved further ahead when Short crossed for her second try early in the second half and a late score by Lauren Farrell, after a break by Michelle Claffey, wrapped the game up for the home side. 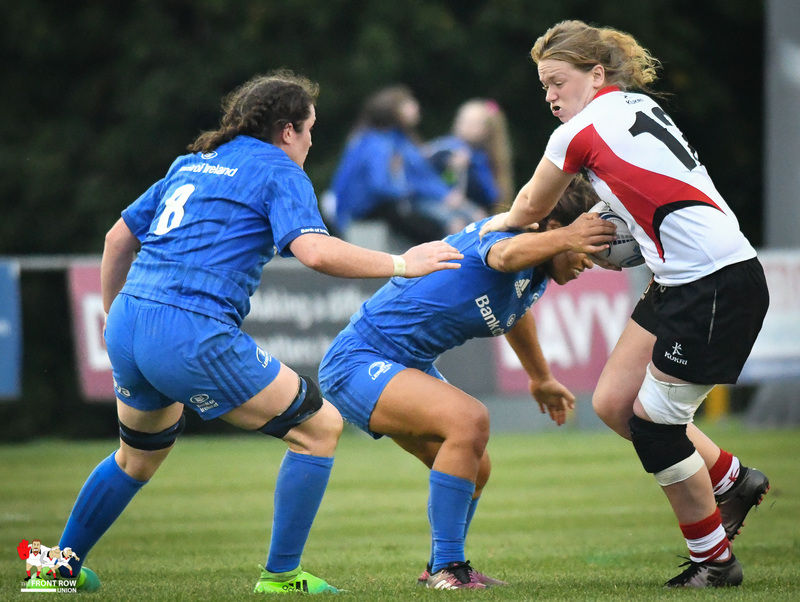 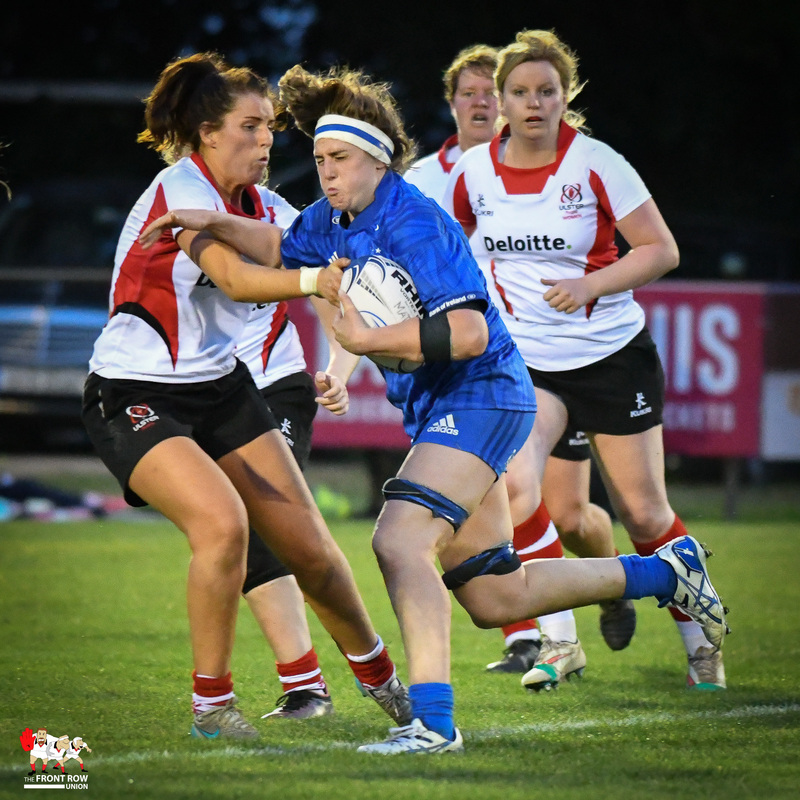 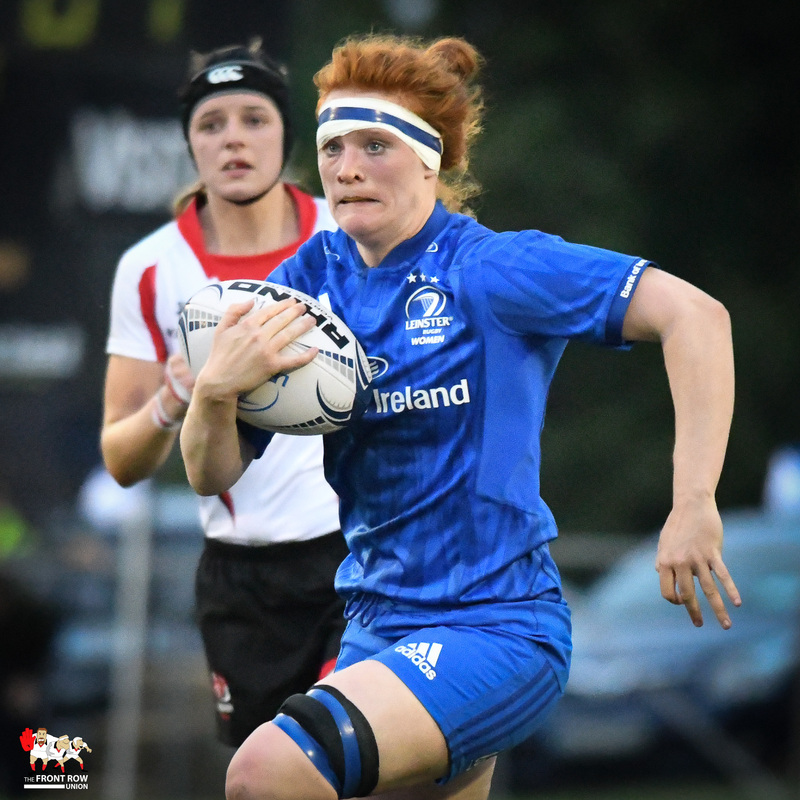 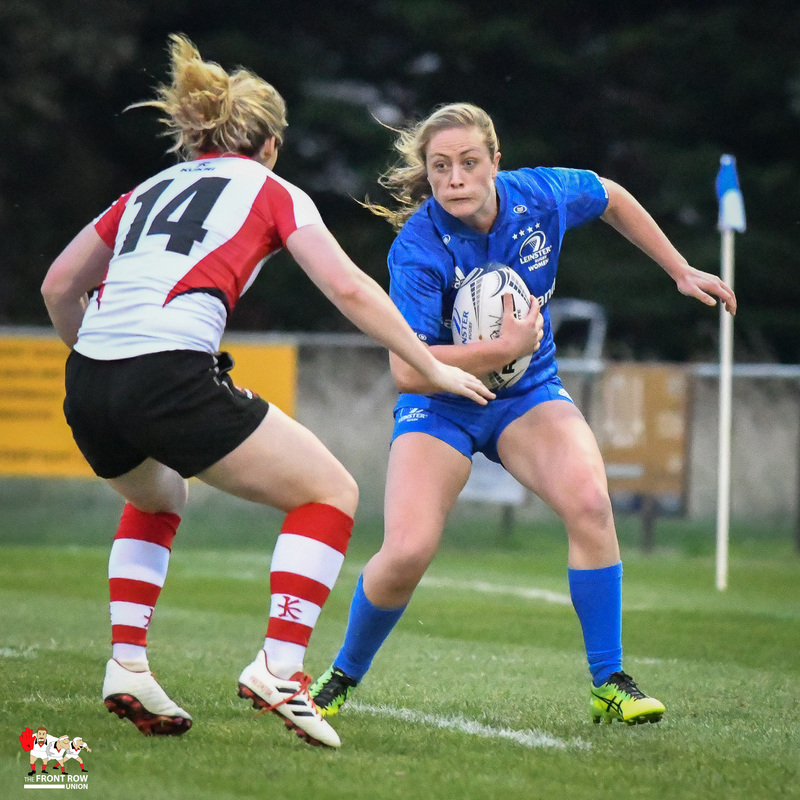 Ex Ulster player Nikki Caughey added the conversion to give Leinster a 17 – 0 win. 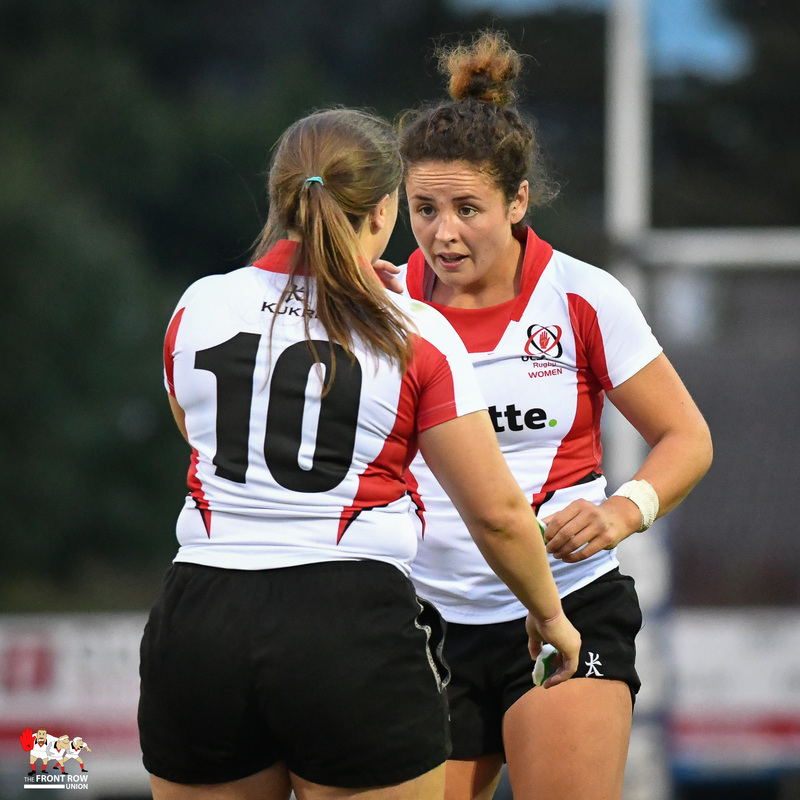 Ulster’s search for that elusive win contines next Sunday at Portadown RFC when they face Munster. 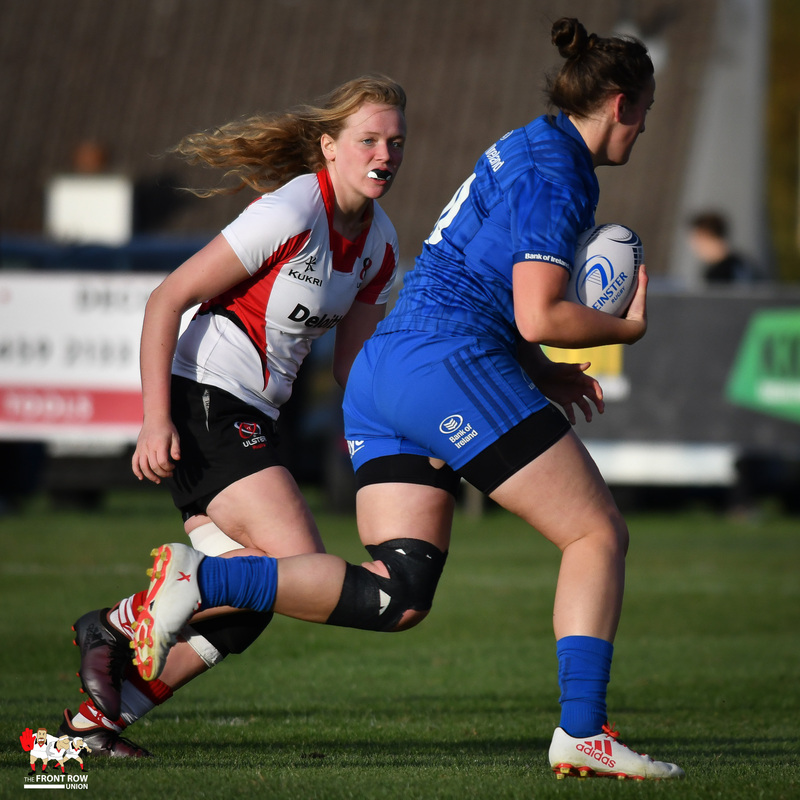 Kick off 13:00.